With its stunning looks and mighty V8 roar, the Morgan Aero 8 has endeared itself to British GT spectators since its debut in the Cup class in 2003. Team Aero Lewis has been running one of these beasts since the first round last year, and is now challenging for honours in 2004. If anybody knows his way around a Morgan, it’s the man who prepares the car, Rob Wells. He was a Morgan dealer for 31 years and has been racing them for almost as long. At the end of 2003, Rob took the decision to sell his dealership, Libra Motive, and concentrate on other projects. 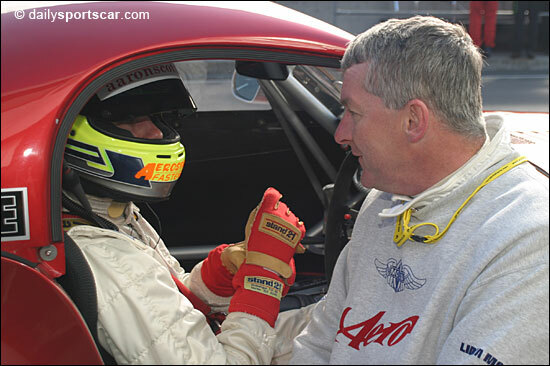 The man who bought the franchise from him, Daniel Ward, was one of Rob’s mechanics back in the early days. His reason for selling was a simple one – he prefers getting his hands dirty to pushing paper around an office. Thus Rob now divides his time between the racing team and producing his Librands range of specialist Morgan accessories. Hardly a retirement. Rob started racing in the mid-70s when the late Peter Morgan asked him to prepare and run a factory Plus 8 for his grandson Charles Morgan, the car being known as MMC 11. At the time, Charles was a news cameraman and would often be away on business (later, this included spending six months in the hills of Afghanistan with Sandy Gall as they followed the Mujaheddin in their war with the Soviets). This meant that Rob could hop into the driver’s seat and race the car in his absence. Together, the two drivers won the 1978 BRDC Production Sports Car Championship and the 1979 BRSCC Production Sports Car Championship in MMC 11, against competition that included Colin Blower. The same car also won the 1982 Willhire 24 Hours. In 1980, with backing from Victor Gauntlett’s Pace Petroleum, Rob designed and built a Plus 8 for the STP Modsports Championship, the MMC 111. This car won the championship at its first attempt. Since then, Rob has concentrated on looking after customer cars, but has found time to do plenty of racing too, including winning the Morgan Racing Championship in 1989 & 1990 and racing in the inaugural British GT Cup season in 2003. He now races a 1959 Plus 4 in the Morgan Gentlemen Driver’s Championship. One of Rob Wells’ customers was Keith Ahlers, himself no stranger to hard work. Having left university in 1976, Keith took a ‘temporary’ job as a bus conductor as he pondered what to do with his life. Except that he liked the job and stayed in the industry. Within ten years, he had made the remarkable progression from bus conductor to managing director (of a regional subsidiary of National Buses). This was now the time of deregulation and Keith, together with his fellow directors and 800 employees, made the brave step of buying the company, which was at the time losing a million pounds a year. Keith’s personal investment would have meant ruin had the company failed, but instead the company was turned around and several acquisitions of other underperforming companies meant that it flourished - and was floated in 1993 on the London Stock Exchange. Keith stayed on for a further three years before deciding that the 90-hour working weeks and 50,000 miles a year on the roads needed to come to an end. He had made his money the hard way and now he was going to enjoy it. Keith’s love affair with Morgan motor cars began as a youngster, when the Plus Eight was first produced in the ‘60s. At the time it was the fastest accelerating and the best handling sportscar produced (better than the E-Type) - with the exception of the DB6, which cost three times as much. It was to be 20 years before he could afford one, though. 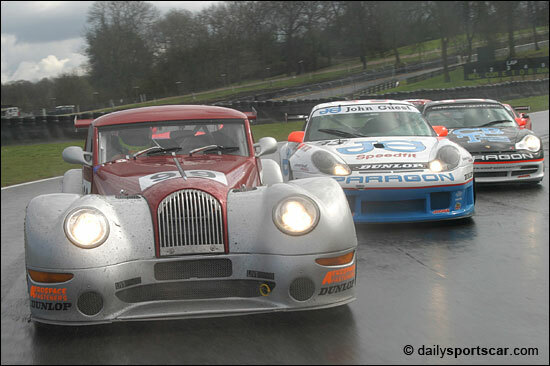 He now owns 12 Morgans – one example from every generation of cars – with the oldest being a 1926 three-wheeler and the newest being the Aero 8 that he races in the British GT Championship. But Keith is no dilettante. Based in Jersey, he drives to every race in his red Transit van and is usually to be found under the car. Racing is his passion and has consumed much of his time since retirement. 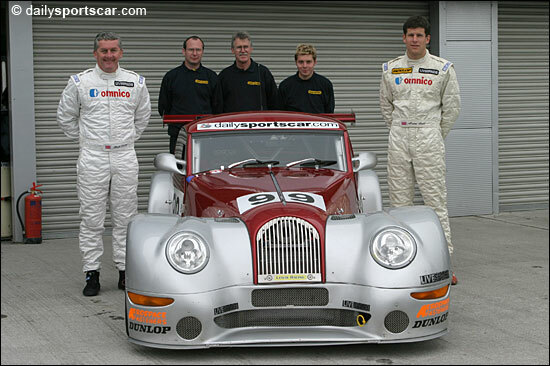 Having tried one or two track days while still working, Keith entered the Morgan Challenge in 1997. He would drive to the circuit in his Plus 8, take the windscreen and spare tyre off, and race. In that first year he was named Best Newcomer. In 1998, he came second in the championship and in 1999 he took his first outright win at Brands Hatch, on the Indy Circuit in the rain. In 2000 he started racing in the 750MC Roadsports Series, in addition to the Morgan Challenge, and contested 20 races in all. 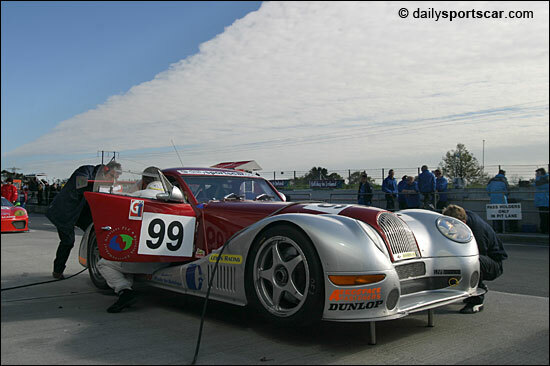 In 2001 and 2002 he was the Roadsports Champion, and in 2002 also won the Morgan Challenge. That year he raced 32 times and won 24 races. In all, he raced his (Rob Wells-prepared) Plus 8 100 times and won 76 races – an extraordinary record. 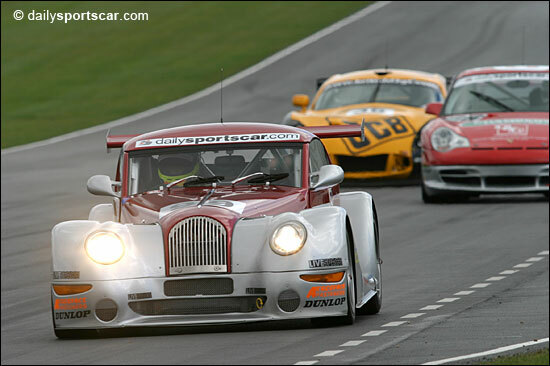 In 2003, the British GT Cup class was announced and all the right ingredients were there for Keith to race the new Aero 8 – the Morgan name on the car and the premier national championship. Keith put together a package that would see himself and Rob Wells driving. Morgan provided some support in the form of tyres. 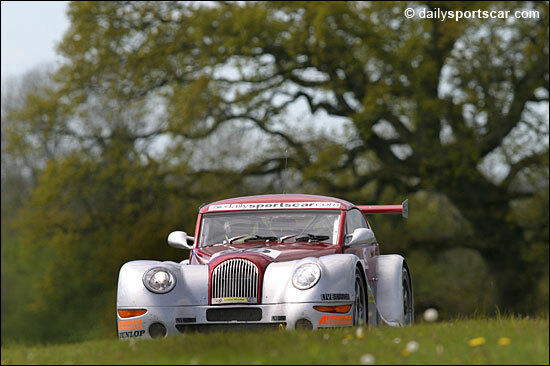 The Morgan instantly proved itself to be immensely popular with the spectators and the team recorded five podiums during the season as it made its way to third in class overall. As the year progressed, the team knew that there was so much potential in the car, but any major development had to wait until the winter months. So in the time between racing seasons, a great deal of work was done to the car’s aerodynamics and weight distribution. A new rollcage, sequential gearbox and roof were fitted and the rear wing was mounted on the boot lid, rather than the rollcage, to improve rigidity. In addition, the car was resprayed in a combination of ‘Harley Davidson Red Pearl’ and ‘Mercedes Brilliant Silver’. At the same time, Rob Wells also took the decision to step down from his racing duties to concentrate on running the car, and so the team went looking for a new driver. When word got around, there was much interest from prospective runners. Whoever was going to get the drive had to be able to bring a budget, but more importantly had to be quick and able to work harmoniously with the small team. One of those who approached the team was Aaron Scott, who had driven the Master Motorsport Ultima in 2003, as well as the Richard Thorne Aero 8 at Spa, taking third place in the process. Aaron had a test for Team Aero Lewis and made a very good impression, both in times and attitude. He was quickly signed for the 2004 season. Aaron has been around motorsport from a very early age on account of his father being a race official. He attended his first race at the age of just a few months. He didn’t start racing karts until the relatively late age of 14, however, and even then he had to pay for his first kart himself, having saved up money from paper-rounds etc. for the occasion. He proved himself in karting, taking several wins and junior titles. In 1999 he progressed to racing cars and won his first ever race. He was running in the BRDC Junior Formula Ford Championship that year and won it at the first attempt. 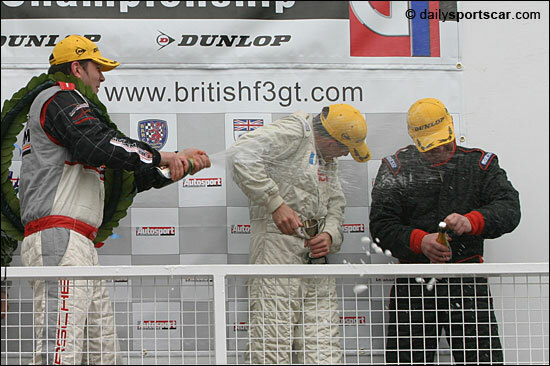 The following year he moved to the Avon Tyres Formula Ford Championship, where he finished fourth and then in 2001 raced in the British F3 Championship Scholarship Class with Rowan Racing. His car had a Toyota engine, but the budget he had was a fraction of what was needed to be truly competitive and he made the decision to turn his career in another direction. He first raced with a roof over his head in the Elf Clio Renault UK Cup in 2002 and then made the switch to the Ultima in 2003. He regards this as the best thing he has ever done, even though the Ultima had a trying season. Aaron has fitted in well with Team Aero Lewis and loves the atmosphere. He has decided that a career in sportscar racing is for him, but he is not running before he can walk, being content to spend as long as it takes to learn his craft. Le Mans is on his wish-list for the future and he will undoubtedly achieve this before too long. Keith Ahlers is delighted to have the young-gun in the team as it gives him the opportunity to raise his own game, while also strengthening the competitiveness of the team. Away from racing, Aaron works as a driving instructor at the Thruxton circuit. The team is already looking like favourites for the Cup races there in August. There are two other vitally important members of this small team. Billy Bellinger is the main mechanic and does most of the work on the car. Billy runs his own company, JB Sports Engineering, and specialises in working on Moss gearboxes and axles. He also restores F1 Coopers when time allows. Ian Grimes is the chief mechanic at Libra Motive. In addition to his Aero 8 duties, Ian also looks after Keith Ahler’s Plus 8. Team Aero Lewis is a small team, then, but one that has enlivened the Cup field and increased its competitiveness all the while. A win is long overdue.